I just love it when someone does the work for me of compiling awesome tutorials. 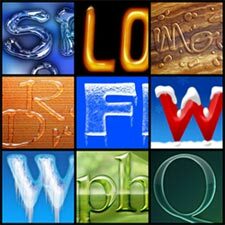 Check out this list of 80 Photoshop text tutorials that covers everything from text written in the sand to the Superman effect. And yes, these are great for the display type on those interactive graphics I was just writing about. While you’re at it, check out this huuuuuuge collection of totally free Photoshop brushes. This entry was posted in newspaper design, tutorials. Bookmark the permalink.